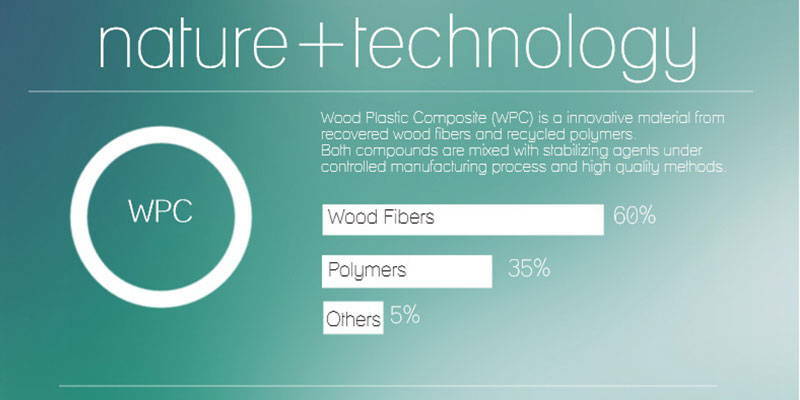 The Wood plastic composite is an innovative material compound by natural wood fibres recovered high quality recycled polymers and a percentage of coupling and stabilizing agents. The result is a material that, after to be processed, can be used to design laminated profiles are used in decking, cladding or fencing. 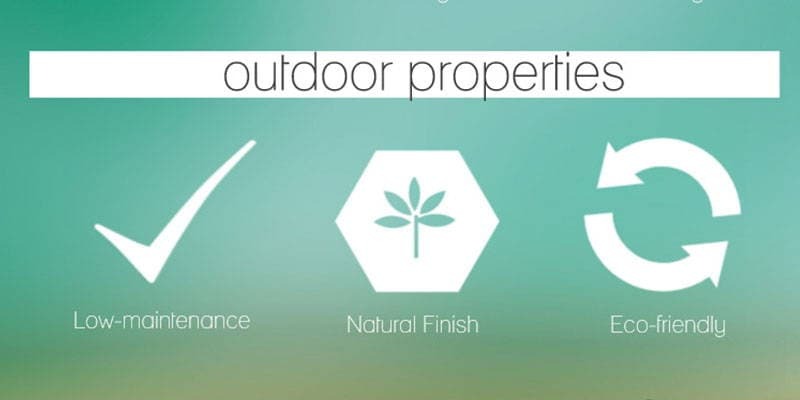 Its main applications are intended to be covered outdoor areas where wood suffers intensely the effects of weather conditions and insects attack. The items made by recycled raw materials and avoid the indiscriminate felling of trees, so they are ecological, sustainable and they do not require any treatment for preservation. This material is easy to process by which extruded sections can be made of different proportions, sizes and colours. Its processing is performed by low-emissions methods, environmentally friendly and following the most stringent quality protocols. 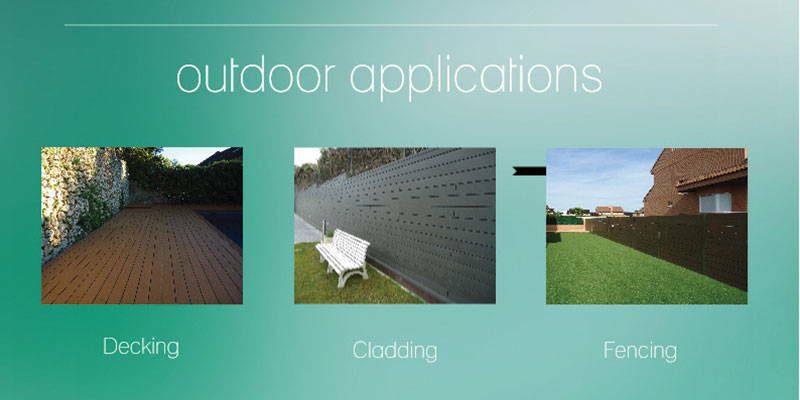 With synthetic wood profiles can be manufactured for multiple applications, among the best known are: outdoor decking, garden tiles, wall cladding and fencing, with all the accessories as joist or end cover profiles. Although, for the good properties, the material can be used in cars, technologies parts in so many different sectors. – High durability without treatment . – Natural and warm look. – No cracks in the structure and no insect attack. – Easy to work and to install. On base to the composition of recycled raw materials – avoiding the indiscriminate felling of trees and low maintenance, the wood plastic composite involves the more durable and ecological alternative exists, to traditional wood in outdoors.